The Aam Aadmi Party continued its winning streak in the National Capital as it clinched five seats in the MCD bypolls on 17 May. The Congress stood second with four seats in its bag, while the Bharatiya Janata Party was restricted on three seats. Independent candidate Rajender Singh Tanwar won from Bhati ward. AAP's Abhishek Bidhuri won the Tekhand seat by 1,555 votes, Anil Malik won the Nanakpura seat by 552 votes and Mohammadd Sadiq emerged victorious in Ballimaran ward number 86 won by 2,066 votes respectively. The AAP also won from the Matiala and Vikas Nagar seats. 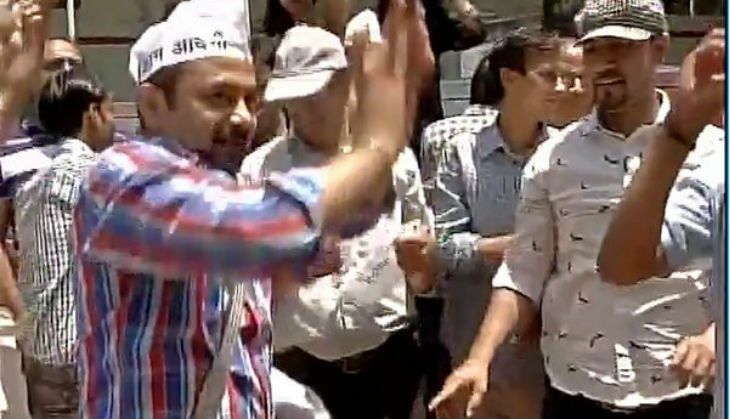 The AAP leaders celebrated their victory in full swing at the AAP headquarters in Delhi. Congress' Pankaj Jeete won from Jhilmil ward number 238 by 10,318 votes, defeating BJP's Jitender Singh Shunty. Anand Kumar of Congress won the Khichripur seat by 2,419 votes in the by-poll. Congress' Ashok Bhardwaj won from Kamaruddin Nagar ward number 44 and Yogita Rathi bagged the Munrika seat. BJP's Mahender Nagpal won from Wazirpur ward by 3,608 votes, Bhupendra Yadav won from Shalimar Bagh ward number 65 by 1,451 votes and Krishna Gehlot won the Nawada seat with 4,000 votes respectively.